You’ve probably caught me saying at some point: “Your makeup is only as good as your tools.” Your brushes play a huge part in how your makeup applies— I’ve even made up my mind about disliking product, when in reality I was using it with the wrong brush. It kills me when I see people using the foam applicators that many brands still include with products (WHY!?). 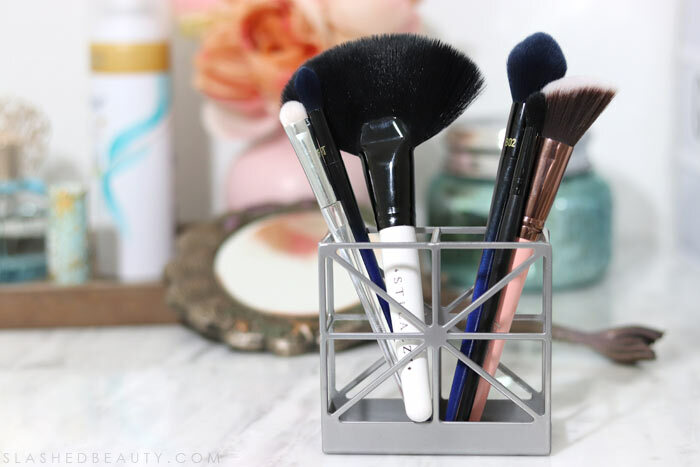 If you’re only starting to build up your makeup brush collection, be sure to check out my Makeup Brush Guide for Beginners which will list each shape and style that you need to complete your makeup routine with ease. But today, I want to talk about the six brushes I use for almost every single look. Even though I have three organizers full of brushes of all different brands and shapes, these six are my favorite by far— my ride or die makeup brushes. They give me the exact look I want, work very well with my go-to products, and make my routine easier to complete. If you see me using something different, it’s probably because these are too dirty and I’ve put off my bi-monthly brush cleaning. 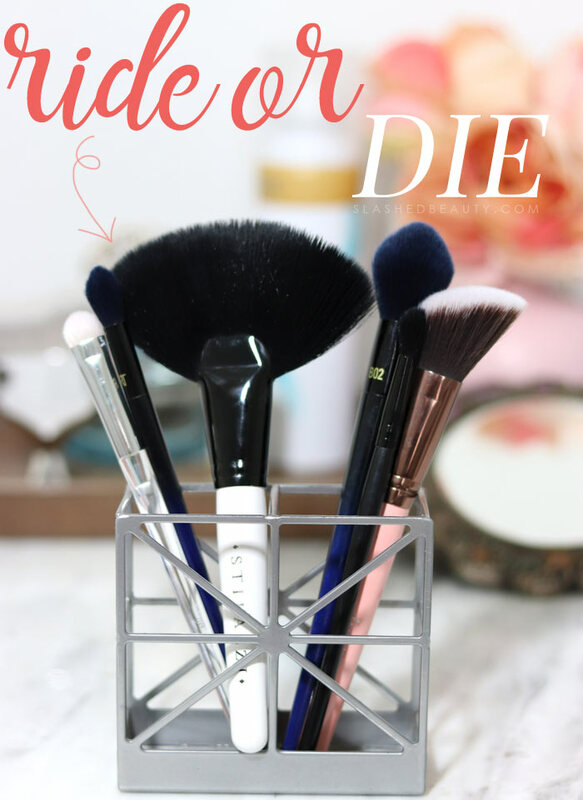 Keep reading to discover my favorite makeup brushes. While the flat shader brush is the most common you’ll find both alone and in sets, this one really stands out to me. It’s medium-sized but flatter and denser than most standard brushes. It’s also slightly tapered, so you can get exact with it. For me, I love using this to pack on shimmer, satin and metallic shades that need a little more firmness from the brush to maintain their finish… though it works well with any color you really want to stand out! Because of the shorter size, it works well for cut creases and the brow bone, too. Usually I don’t like white bristles on brushes, but this is really easy to clean to look like new again. Plus, the white makes it easy to tell exactly how much product you have on the brush, preventing fallout. I didn’t hear a ton of people talking about Real Technique’s PowderBleu collection, perhaps because it was only sold on their website vs. drugstores and other retailers. However, they have some major gems in this line, including the B04 brush. This is my ultimate blending brush for shadow. I use it to diffuse transition shades and blend out crease colors for a softer edge. It does the best job at getting rid of harsh outlines without working hard at it. This affordable little brush is perfect for blending shades in tight spaces, like the crease, lower lash line or brow bone. You can even use it to highlight the bridge of the nose and cupids bow in a more precise manner! It’s super soft and comes to a tapered point to make application more exact, but flexible enough to blend easily. This is my go-to big fluffy fan brush. The sheer size of it can be intimidating, but it’s so flexible and perfect for highlighting and contouring. I used to only use it for powder highlights, sweeping it over my cheekbones for a smooth sheen of glowy goodness. It’s perfect for diffusing illuminating powders to look more natural. However, after learning a contouring trick in a recent YouTube video, I realized the shape was also perfect for getting a blended contour in two swipes! It literally does all the work for you, and the flat shape is perfect for getting right under your cheekbones for a natural look. Not only is it pretty, but this large angled brush from Luxie is my favorite for blush. I think blush brushes can make or break your look. You need to be careful about application so you don’t end up looking like a ventriloquist doll! This brush is extremely soft, with a bit of give (but not too much!) to make blending a breeze. It picks up a good amount of product and applies evenly without patchiness. The angled shape makes it easier to glide along the natural contours of your face— and you can totally use this for bronzer as well! I told you I loved this line from Real Techniques, though it is more expensive than their basic brushes. 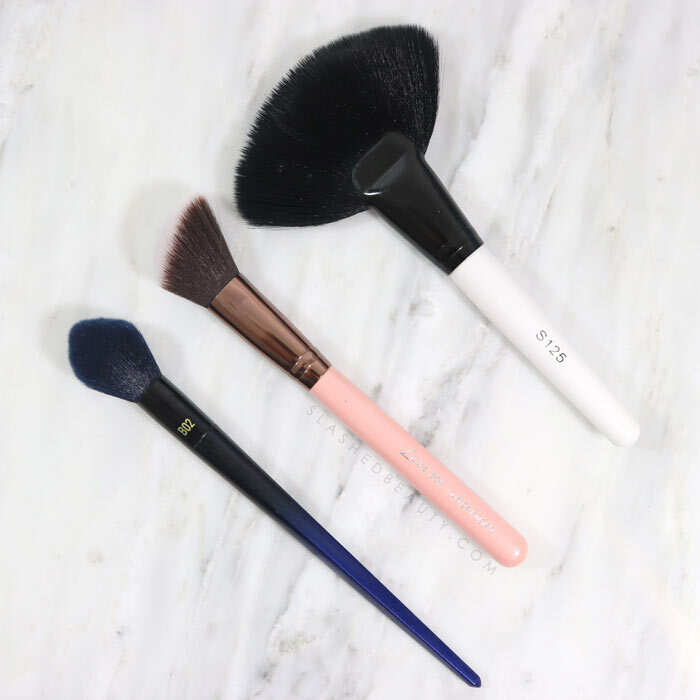 This particular brush has a pointed dome shape with ultra flexible and soft bristles, making it perfect for blending blush, highlight or contours. The B02 sweeps powder on very evenly, so it’s easy to build up your look without going overboard. I’ve mostly used this to contour with, because the brush fits so perfectly in the hollows of the cheeks. The tapered point also helps the contour from ending up all over my face. 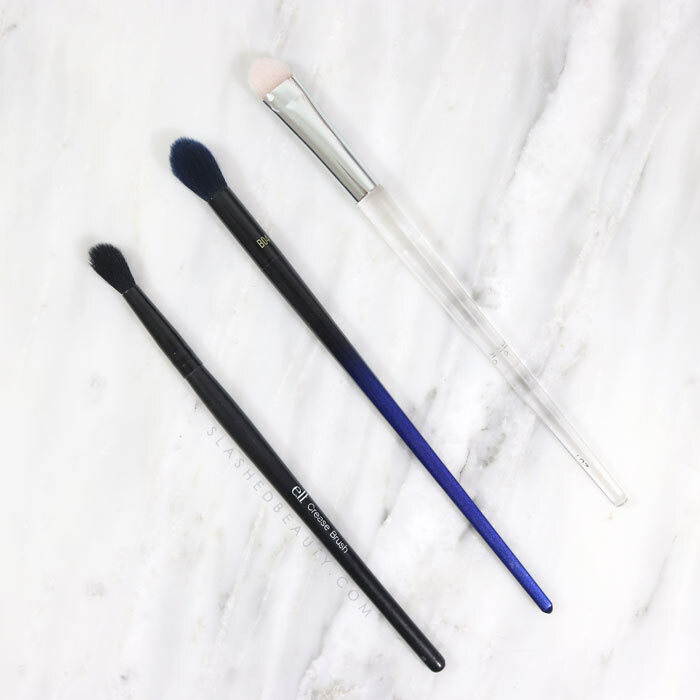 Check out my makeup brush guide for more affordable suggestions on beginner brushes!